You may have heard that you should get more fat in your diet. Contrary to popular opinion, not all fats are bad for you. In fact, there are some fats you can’t live without. And if you’re a vegetarian, you may not be getting the right balance of essential fatty acids (EFAs) in your diet. Inadequate intake of EFAs, many of which are found in animal sources, can lead to dry skin, depression, autoimmune problems and potentially heart damage. 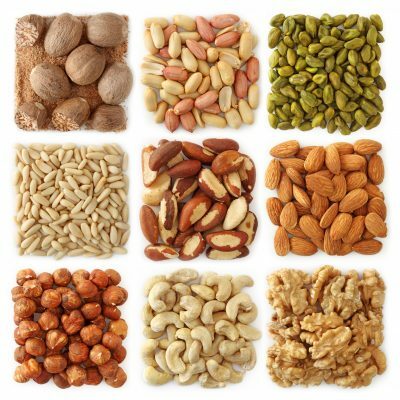 EFAs come in two categories, each appearing in different foods. We get omega-3s from cold-water fish (salmon, sardines, trout, tuna, halibut, herring and anchovies), dark leafy greens, walnuts, flaxseeds, and flaxseed oil. Omega-6s come in large amounts in vegetable oils, such as safflower, soybean and corn. Omega-3 and omega-6 EFAs work in opposing ways in the body, usually balancing each other to support your system for optimal health. However, when omega-6s are in excess—as they are in the typical American diet—problems arise. Excess omega-6s have been found to promote the growth of some cancers and contribute to insulin resistance, a condition that increases the risk of heart disease. Omega-6s also produce hormone-like substances that promote inflammation. A good ratio of Omega-6 to omega-3 is 4:1. However, most American diets provide upwards of 20:1. To compound the problem, omega-3 sources are not all created equal. A vegetarian who includes a few daily tablespoons of omega-3-rich flaxseed oil, for instance, may not derive all of the benefits of the omega-3s found in fish. Under ideal circumstances, the body could convert the flaxseed oils into the type of omega-3s found in fish—eicosapentanoic acid (EPA) and decosahexanoic acid (DHA). But the conversion isn’t smooth. Studies indicate that about 8 percent of Alpha Linolenic Acid from flax converts into EPA and DHA. Many common factors inhibit the process, such as eating too much sugar or trans-fatty acids (found in margarine, vegetable shortenings, partially hydrogenated oils and fried foods), consuming alcohol, having nutrient deficiencies or digestive problems, having viral infections, diabetes or certain genetic defects. You can get DHA in vegetarian supplements made from phytoplankton or microalgae, but you won’t find EPA in vegetarian form. Some conditions, such as depression, are associated with low levels of EPA. So if you’re a vegetarian who’s not benefitting from taking flaxseed oil or DHA supplements, you may need to consider adding some EPA-rich fish or fish oil capsules to your diet. Vegetarians can increase your omega-3 intake by eating raw flaxseed oil or ground flaxseeds, green veggies, and using omega-3-enriched eggs.